Colin Donajkowski works on his technique as the Wildcats prepare for the 2018-19 season. 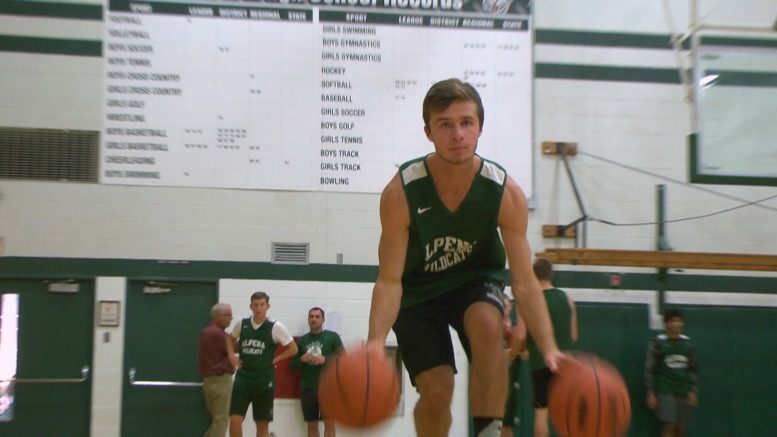 ALPENA — Chris DeRocher and Aidan Goike have been playing basketball together since elementary school. The same is true of many of the seniors on Alpena’s team. 2017 saw the Wildcats finish 9-11 with a loss to Marquette in the district quarterfinals. Alpena won all of their non-conference games, but didn’t win against in conference teams. The big mantra for Alpena this season is to finish their games. The Wildcats defense failed at the end of games, which ultimately resulted in losses. The Wildcats total 8 seniors and 4 juniors on their varsity squad. Their first game and home opener is Tuesday at 7pm against Bay City Western High School.